There is a multitude of little things in that Kotaku piece from a week ago that could take paragraphs upon paragraphs to meticulously unpack—the strengths of the Switch versus the 3DS, the supposed business idiocy of ignoring the Switch as a mobile gaming platform. For example, so what if something like ignoring the Switch for the sake of the 3DS instead truly is wrongheaded? Then you know what? Let them suffer the consequences firsthand through their wallets, where it hurts the most, and hope they learn from their mistakes. Maybe then Atlus will wise up and port both Persona Q games to the Switch once they’ve finally gotten some actual Switch development experience under their belt through Shin Megami Tensei V.
Being that, you know, they’ve never developed for the Switch before that, whereas chances are they have a far more practiced, efficient, and known quantity of a 3DS development pipeline in comparison. Things which would probably be important cost and effort-related considerations when making a niche spin-off of a still-niche RPG series whose previous installment sold less than one million copies worldwide. I could write an entire post going over a whole bunch of things like that. Even then, however, it all would still not get to the heart of the major underlying problem that fundamentally irks me: Being this dismissive of a piece of gaming hardware, on behalf of a different piece of gaming hardware, for...why, exactly? If that sounds like an awfully familiar song and dance, then cool, maybe I’m not the only one who’s noticed. The whole tenor and approach of Jason Schreier’s op-ed reminded me of the kinds of conversations that surround PC gaming, the other platform which has been most ruled by an air of assumed superiority, and been that way for much longer. The annoyance that I felt from that article, in kind, was similar to the annoyance that I’ve long felt about how some corners of PC gaming culture carry themselves. What had frustrated me about that annoyance, however, was that for the longest time, I questioned whether those reactions of mine may have been slightly out of line. Like, I am of course no fan of PC gaming’s elitism at its most smug and dismissive. On the other hand, though, I also recognized that they often vouch for features that concretely affect gameplay experiences; frame rates, for example, are not trivial! They are not things that I personally need to have juiced up to maximum settings to be satisfied, but even then, maybe there’s still something a little justified underneath the noxious attitudes? That conflict ruled my sentiments toward PC master race tendencies for years. A few weeks ago, however, given some hoopla around capped frame rates for Ubisoft’s The Crew 2, I read a quick something from gaming critic Chris Franklin that was incredibly clarifying, and finally provided that little bit of perspective which fully resolved whether what I had been feeling was legitimate. This started a mini-thread talking about game development. The part that truly got me to reflect was as follows. And there it was, the mantra which explained it all. That was my eureka moment. Of course that’s how things are! Developers’ priorities, first and foremost, are necessarily to their games. And in this non-ideal world of limitations, that’s sometimes going to include making decisions and enacting compromises which go against being the most “optimal” game for a certain game system, or maybe even foregoing a release on said game system altogether. Even when the system in question is the personal computer. Everybody could be well served taking a chill pill sometimes when coming across the slightest indication that the world does not wholly revolve around their situation. Which is all to say, perhaps, that I am now less sympathetic to the more grating sentiments characterizing PC gaming. I think that the Nintendo Switch might be at risk of inspiring similar attitudes of superiority in its ranks. It has kind of always already been there from the very start, with the meme-ified “where’s the Switch version though” quips, albeit as cheeky lighthearted half-jokes. But wasn’t that also how the idea of “PC master race” started? As a winking ironic gag? Yet look what it has become now! What’s to stop the Switch from going the same way? Only one year into its lifespan, and we’re already getting the article earnestly dunking on the still actually living believe it or not 3DS and the developers still making games for it because of the sheer audacity in not putting them on the Switch instead, damn all the practical or creative reasons they might have for doing so. Is this really just going to be the only time it happens? Look, I was a total Nintendo child who still holds them in high regard as an adult. I absolutely love the Nintendo Switch more than anything else in gaming these days! I truly would love for all of the games to come to the system! And it’s not like I don’t understand the incentive to criticize others in relation to a gaming platform. I do feel a certain type of way when Switch ports/versions are not as polished as I would have preferred, for example. Going even further, I honestly do actually agree that these games would be good fits for the Switch, maybe even better than for the 3DS! 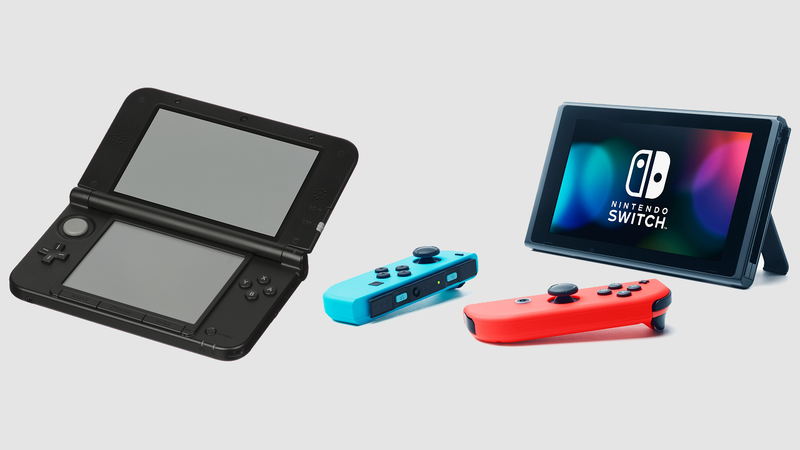 But there are limits to how far I can take such dissatisfaction; dismissing the 3DS as “a waste” of a system in the face of the Switch’s existence goes beyond them. Game developers have no obligation to justify my gaming console ownership. Other consoles, even far older and seemingly “obsolete” ones compared to my beloved Switch, may still have value to them yet. That is their call to make, not mine. At the end of the day, I can accept that. As for myself as a gamer, I wouldn’t want to play either of these games on the 3DS, so I won’t. I’m sure they can accept that from me as well. Funnily enough, that is more than I can say for Jason! Because here’s the kicker to all of this: As he writes it, he’s STILL going to likely play them regardless of their release on the 3DS! Just maybe a little more grumpily, and probably not as long-term. Something tells me that Nintendo and Atlus, at the end of a business day, might not mind such a state of affairs.